With On-the-Job Training (OJT), you begin to receive wages and/or benefits while you learn a new skill, working with a participating business. OJT is available for eligible job seekers through specific programs at the job center. OJT helps your employer to hire by offsetting part of the cost of training. For participants of OJT, this helps remove any gaps in a skill that might typically prevent you from getting a job. 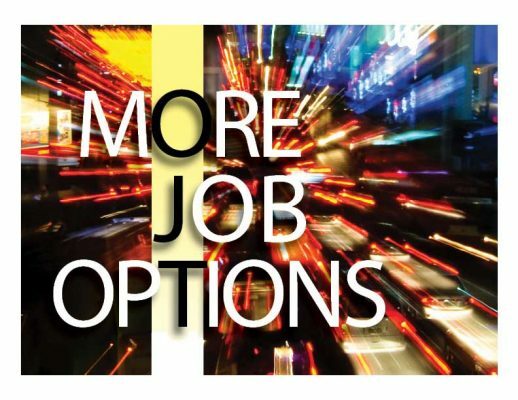 Before you’re referred to a prospective job using the OJT program, a workforce specialist at the job center will work with you to develop an individual employment plan. This includes an assessment of your skills and abilities you can bring to an employer along with your individual career goals. While you may not be the perfect fit for the skills needed in the job that’s matched, OJT provides a stepping stone to improve your skills and your odds of success. The job center uses other tools that help you as a job seeker along with your potential employer to make the right fit. All OJT candidates should have the National Career Readiness Certificate (NCRC). Through the NCRC, you’re able to prove you have the basic skills needed for success at work. Virtual Video Interviews help shorten the time frame by getting your talents in front an employer even faster.